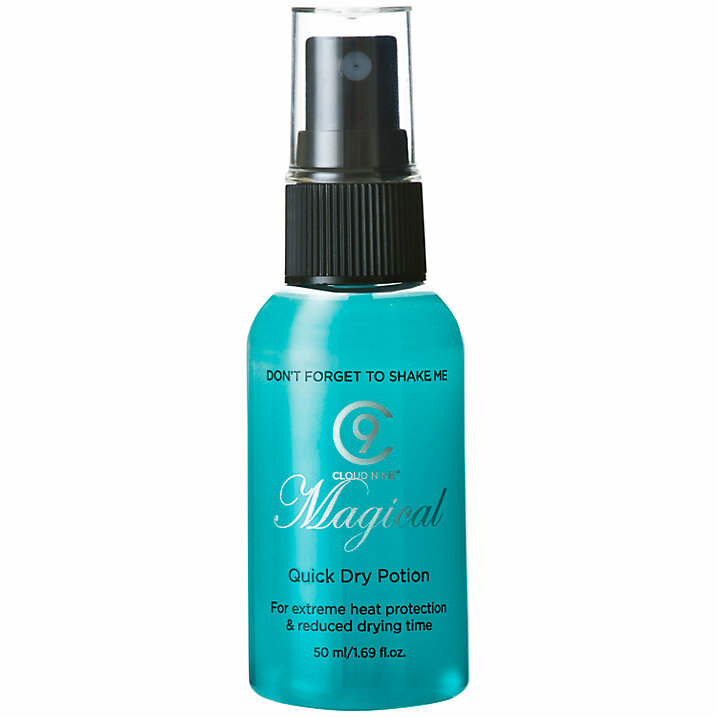 Magical leave-in conditioning spray by Cloud Nine. 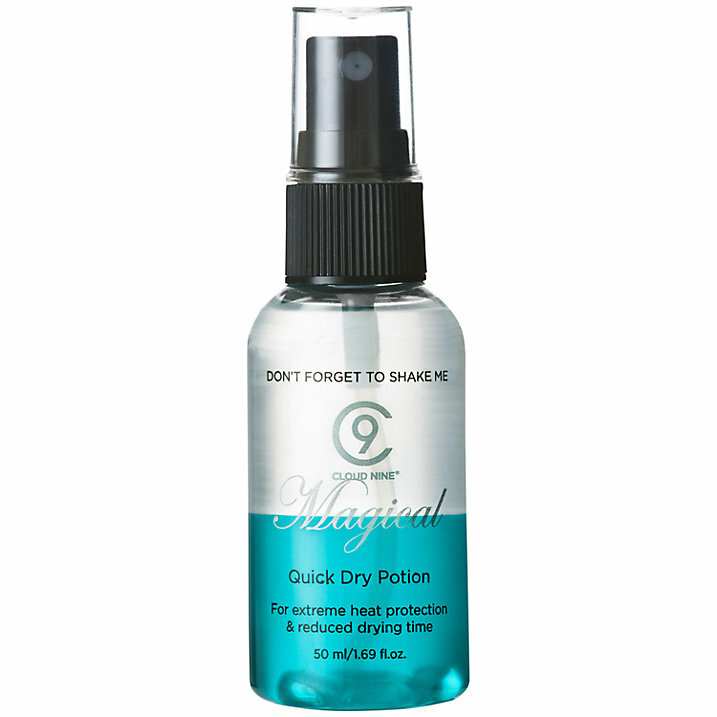 This travel sized magical potion is the essential go-to-styling product from Cloud Nine. It protects your hair from unnecessary heat damage with therma-protection properties. Plus, with a UV filter and nourishing leave-in conditioning elements, the potion softens and strengthens hair. A spritz of Magical Potion, on average halves drying time, contributing to an altogether kinder styling solution. The potion will help to tame unmanageable, unruly hair, making it quicker and easier to style. It also strengthens weakened or damaged hair and is anti-static.